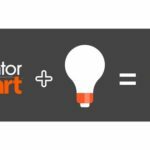 Brian Fried has launched Inventor Smart, a national consultancy for new inventors seeking guidance on the complicated process of getting inventions to the marketplace. 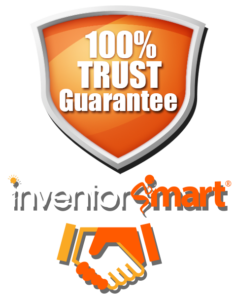 With the New York-based Inventor Smart, Fried offers one-on-one consulting and representation as a licensing agent, also serving as a liaison with potential licensees during the invention process. Fried has been an inventor for decades. His experience helping others includes serving as an inventor consultant on Nicole Ritchie’s reality show, Candidly Nicole, on VH1 along with Daymond John from Shark Tank. He is a consultant to corporations to help develop products, brainstorm concepts and motivate staff to innovate new products. You and Your Big Ideas and Inventing Secrets Revealed. He was an on-air guest on QVC for three years to promote his successful invention Pull Ties. Fried founded and hosts the online radio show Got Invention Radio, which interviews high-profile inventors and shares valuable resources. He is a regular speaker at the Small Business Administration, U.S. Patent & Trademark Office and schools throughout the region. In addition to Pull Ties, Fried holds licenses on his numerous other inventions including Snack O Sphere, Eggstra Space, Knot Out, Magic Meal and Adjustable Tongs. His inventions are sold by major retailers including Wal-Mart, in catalogs and on TV.